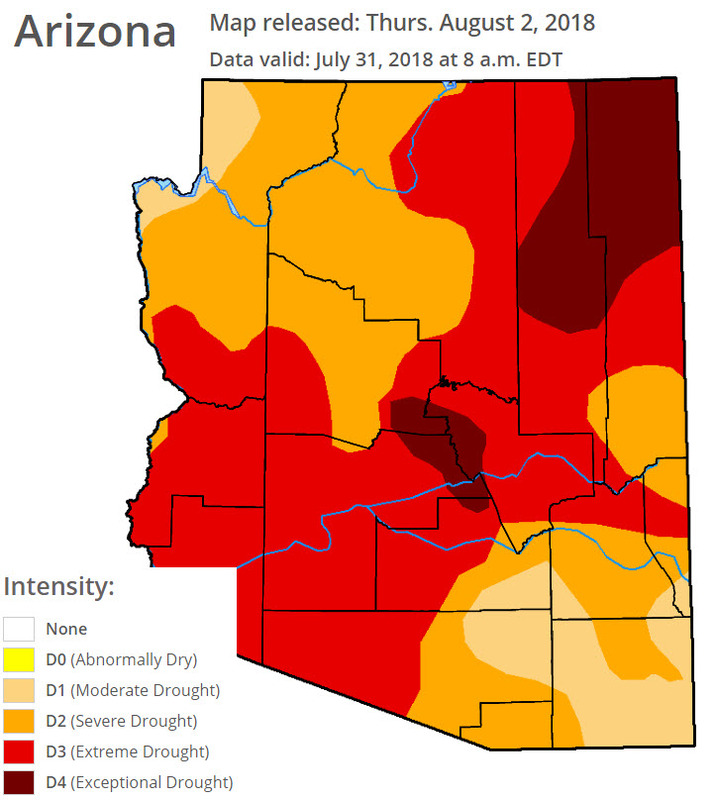 Despite monsoon season, Arizona is one of the driest states with Extreme (D3) to Exceptional (D4) drought conditions currently affecting a large swath the state according to the U.S. Drought Monitor (map below). an increased risk of wildfires and a drain on water resources impacting housing developments. If Colorado River water is at risk, is Arizona groundwater the solution? Meanwhile, some northwestern Arizona residents who celebrated cancelled plans by the Central Arizona Project board of directors to acquire water rights within Mohave Valley, say the fight isn’t over yet. Opponents argue that rerouting a portion of their Colorado River water could be devastating to the local economy.